Intelleflex and The Hartford recently formed an alliance to use RFID and temperature monitoring technologies to tackle the multi-billion dollar spoilage problem in the world's food supply chains. We at ChainLink are very interested in this, as we have focused for quite a while on the intersection of risk mitigation (creating resilient supply chains) and risk transfer (insurance). We had a chance to speak recently with executives from both firms: Peter Mehring, President and CEO of Intelleflex, Jacqueline LeSage Krause, Vice President of Innovation & Corporate Venture Capital at The Hartford, and Alexander McGinley, Marine Underwriting Officer at The Hartford. First, we will give you a little background on the problem. A sizable opportunity exists for improving profitability across the end-to-end fresh food supply chain by reducing spoilage and waste. 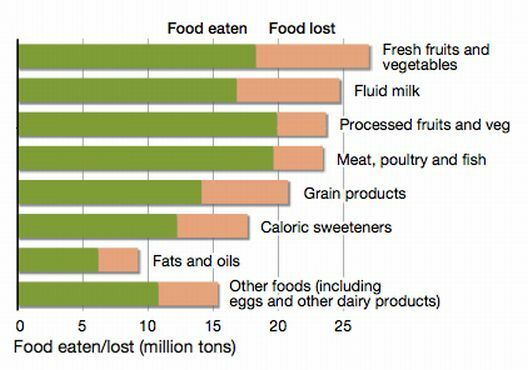 It is estimated that in the U.S., 23%-25% of fruits and vegetables are lost post-harvest and that 25%–50% of the total economic value is lost because of reduced quality. By some estimates, there is $35B in annual global waste for perishable foods. While causes are numerous, about 50% is due to temperature variations. And by the way, reducing spoilage is not only good for the bottom line, but also for the environment. When you reduce waste by 10%, you are also reducing by 10% the amount of water, fuel, fertilizers, pesticides, and other resources and pollutants required to deliver the same quantity of food to the end consumer. Temperature problems can be fixed through improvements to processes and physical plants. 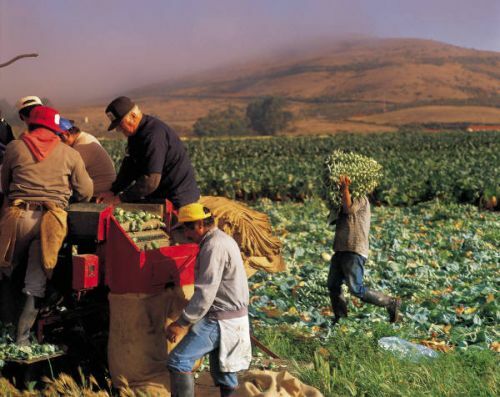 But that requires a long-term, often herculean effort, involving changes to processes and equipment by the many different players that take custody of produce as it traverses across the supply chain. A more practical and immediate approach is to manage the supply chain as it exists today, with all its challenges, using RFID and temperature monitoring to gain more granular, pallet-level visibility into product condition. Temperature and traceability data (including location data typically provided by the RFID readers) are stored on the tag as it travels with the produce – in the pallets – through the supply chain. This provides a much more precise view of the temperatures that each pallet or case has been exposed to as it travels through the supply chain. Using this data, the system can calculate how much shelf life is left in each pallet or case, enabling the use of FEFO (First Expired First Out) disciplines at each step of the way. For example, consider one grower of berries in Mexico using the Intelleflex tags. It takes two to five days to transport the berries from their fields to the distribution centers in the United States. 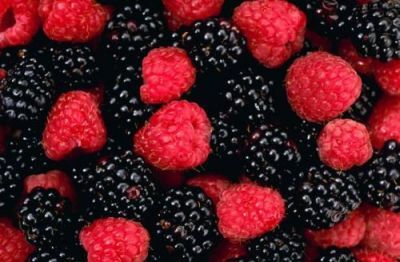 They discovered that getting berries into the pre-cooler in the early morning vs. later in the day could make a difference of 2-3 days in the life of the product. But of course you couldn’t tell the farmers “only harvest the berries in the early morning.” Similarly, some of the berries travel in open pickups and some in closed vans which are 10-20 degrees warmer. It is impractical to give new trucks to all the farmers, but it was practical to outfit the pallets with RFID and then use that data to change the routing decisions, shipping to the right DC, based on the shelf life left in each unit. The software application from Intelleflex partner ProWare Services determines how long it takes to go to each of the DCs, so that they could reprioritize the shorter life products to go to Texas while the longer life units go to the east coast, for example. The same process can happen at the DCs, shipping shorter life product to the faster moving stores and longer life to the slower moving stores. Mr. Mehring (Intelleflex’s CEO) told us that this particular grower thought they could reduce waste by more than 80% simply by shipping the product to the right place. This grower also thought that their long haul trucks’ temperatures were well controlled and constant, but discovered a 7˚ F swing over different days, as well as substantial differences between different locations within the same trailer. 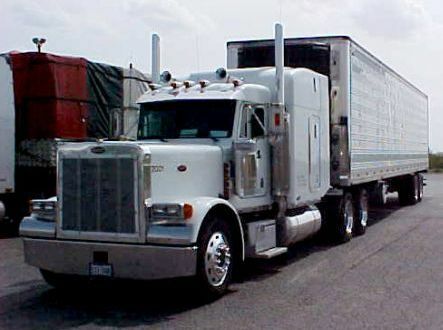 Replacing or upgrading all those long haul trucks to deliver more constant temperature control would be extremely expensive. Using tags to know which cases and pallets were exposed to the temperature swings and then using that information for routing decisions at the destination DC is much more affordable. And, the data can be used to make process improvements, such as figuring out a better way to load the truck. By establishing its alliance with The Hartford, Intelleflex hopes to encourage the use of these tags and reduce the number of claims filed while also improving the quality of delivered produce. Using tags should also make it easier to handle claims that are filed, by providing data that will reduce the number of disputes. Mr. McGinley of The Hartford talked about different scenarios for use of the technology. First, for existing insured clients, they could recommend the use of this technology, especially for those starting to do international shipments. In cases where The Hartford is already paying for spoilage claims, they believe that implementation of the technology could potentially reduce the number of those claims. In the past, their response to seeing a large number of spoilage claims would be to adjust the policy terms or in extreme cases non-renew. In addition, in the past they might pass on providing a policy for a prospective insured party that had a poor loss record. If the insured is willing to implement this technology, The Hartford might find it acceptable to issue a policy. When we asked Mr. McGinley of The Hartford, he said that it is premature to say how much this technology will impact premiums, but agreed that it could factor into the underwriting policy and could potentially impact the terms and conditions, including price. They see a long term benefit to the underwriting process. They believe that this technology might impact the cost, but can’t say how much yet. The level of integration depends on the sophistication of the user and site. That varies substantially across the food supply chain. Where appropriate, these technologies can be integrated into existing ERP or WMS systems to make the routing decision. For less sophisticated sites, a handheld device can read the tags on the produce as it is received into the DC and print out a sticker showing how much shelf life each pallet or case has left, based on the temperatures it has been exposed to. In this way, the technology can be integrated into the differing types and level of existing infrastructure, procedures, and workflows. These capabilities help to improve the quality for the end user. The consumer receives berries which reliably and consistently have 4-6 days of shelf life. From the shippers’ standpoint, it greatly reduces the risk of spoilage. It also has an indirect benefit for the buyer because it is that much easier to determine the quality of the goods received. Regarding ROI, with the data that Intelleflex collected so far in trials throughout the year, they estimate that the deployment often pays for itself in a single harvest. We also discussed the impact on accountability and liability. The data can be captured at every handoff and in-between as often as every 15 minutes, providing both traceability and a record of change of ownership. For starters, each time a loss is avoided through smarter routing, it also eliminates the need to assign liability for that loss, saving work and aggravation for all. In those now fewer cases where losses do occur, you have documented the quality-of-delivery that accurately and fairly reflects what happened. At each handoff, the receiver can see how the produce has been handled at each prior leg of the journey. The discussion shifts from whose fault it is to how to realize maximum value for the product. Some of Intelleflex’s customers found that in many cases the shipper was unfairly suspected, when in fact the data showed that the problem was in the farm or the pack house. So the technology can actually increased trust as well as accountability and provide a data-based foundation for discussing where process improvements are most needed. Intelleflex’s Mehring said that The Hartford’s Marine underwriting group quickly understood the value of the data. There has been a very high level of interest in insurance for shippers and carriers for hire. The Hartford and Intelleflex said that the formation of a strategic alliance is just the starting point. They would like to see this implemented end-to-end. Down the road, they think that grocers could use it in their receiving to quickly assess the quality of produce. And going forward both companies will explore how to better integrate their services. Hartford Ventures is the team within The Hartford that is dedicated to working with entrepreneurial partners and with key groups within their own company to ensure that the partnership moves forward. They also are not unaware of the challenges. 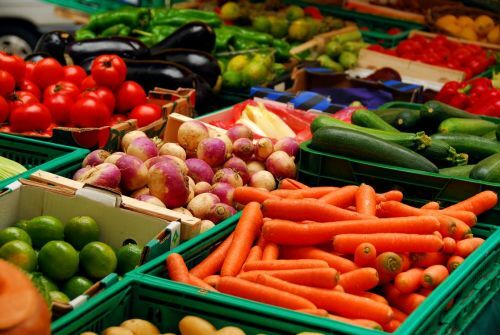 The food industry is enormous with huge variations in capabilities from small farms to corporate agribusiness, as well as among transportation carriers and retailers. A lot of education is needed. Further, we are getting more and more imported products, with more farms in the developing countries that are not up to the same standards as in the U.S. That is all the more reason to look at using technologies like this to reduce this multi-billion dollar problem. Read also Challenges in the Produce Supply Chain, the first part of the Food for Thought series.